Here we are at our 10th official broadcast. 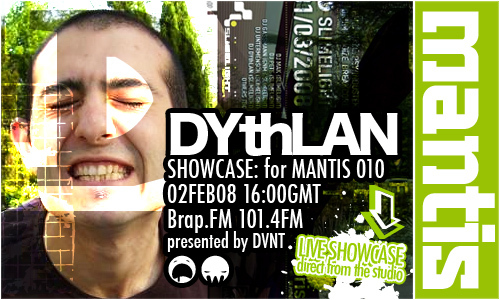 And up this time we have live from the studio DYthLAN, resident DJ at London’s long running Slimelight. Part time reprobate, part time disaster, full time Dylan Perryman. DJ for Slimelight, Decibelio, Infekted Sound, Sin Technologies, Sick and Twisted, Burn to name but a few. DYthLAN is at heart a hard, fast, industrial loving nutter who is not afraid to push the knobs and dials up to 11 and well beyond. Straying from his Industrial residencies sound he pushed himself into more of a Drum and Bass, HardTek, broken feel in his live showcase mix. The reaction in the chat and our studio was rather on the positive side, to say the least. Fierce doesn’t quite do it justice. Turn it up and brock it out. Earlier in the show DVNT came up an hour of deep electro, dubstep and detroit tinged techno including Redshape, Byetone, 2562, Thom Yorke remixed by Burial. 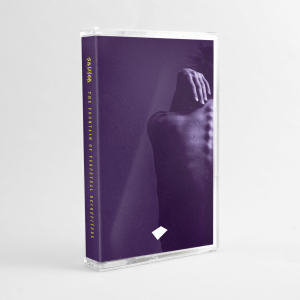 He also squeezed in some filth from Radial, Surgeon, Silicon Scally, the forthcoming Dust EP from Ekaros on Subgrade Recordings, and the new Gyu 4 tracker (Gyu being one half of Mad-Tek, showcased on Mantis Radio 007). There was also time to fit in a rather epic old Wink remixed techno track from Size 9.